After a casual start, the humorist and New Yorker writer ratchets up the suspense in this novel of suburban angst. By Ben Greenman. Perennial, $15. As with Greenman’s previous work, The Slippage showcases the author’s talent for funny and incisive dialogue, and for creating a cast of intriguing characters. The most prominent is William’s brother-in-law, Tom, a womanizing, frequently drunken artist who draws giant, whimsically philosophical bar graphs, and who offers William both support and a surprising perspective. For a while the novel moves at a casual pace, but Greenman ratchets up the suspense by folding in an increasing number of subplots, from William’s escalating troubles at work to his casual affair that becomes a risky obsession. From a quiet portrait of domestic unhappiness, the novel evolves into a provocative page-turner. But does William evolve? 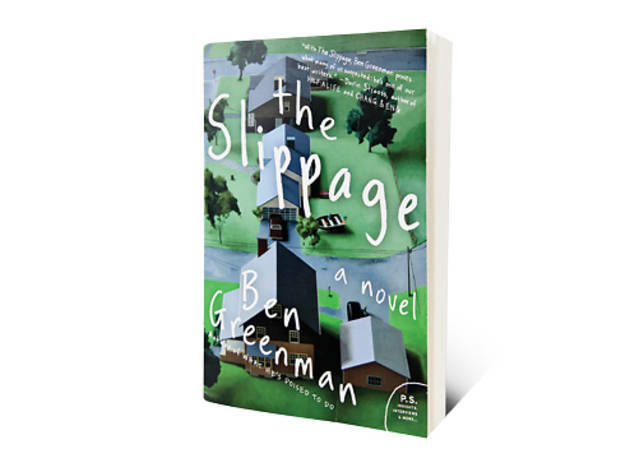 His marriage achieves only a tentative peace, and Greenman seems to suggest that coping with slippage is less about embracing the future than simply putting your troubles behind you. Ben Greenman reads Mon 6 at Franklin Park.